Ever since news came out that The CW’s Supernatural would be airing a wrestling-themed episode in the second half of Season 11, we’ve been wondering who would be cast to as the star wrestler. Well, no need to carry on wondering, my wayward chums. Supernatural has cast none other than WWE champion Mike “The Miz” Mizanin to guest-star in the fifteenth episode of Season 11. Mizanin will play Shawn Harley, an upstart professional wrestler in the circuit of small town wrestling. Harley will have a considerable temper to match his talent and wants to rise in the wrestling ranks. In fact, according to TV Line, he’ll use any means necessary to do so. Now, on other shows, “any means necessary” would likely mean bribery or coercion or straight-up violence, but “any means necessary” in the Supernatural universe can involve anything from witchcraft to demon dealing to summoning dark magic. We can count on Harley getting in over his head pretty quickly and needing Sam and Dean to come to the rescue. We can probably also count on the episode featuring some pretty good stunts. The CW may save its most impressive action for superhero series a la Arrow and The Flash, but there’s no way that the show would hire a professional wrestler and not use his talents in the ring to spice things up. Mizanin as a guest star is undoubtedly exciting news for wrestling fans, but news of his casting is something of a bummer for fans who were hoping that The CW would be staying within its family for the wrestler. Almost as soon as Supernatural announced the wrestling episode, rumors began to circulate that Stephen Amell of Arrow would be taking on the role. 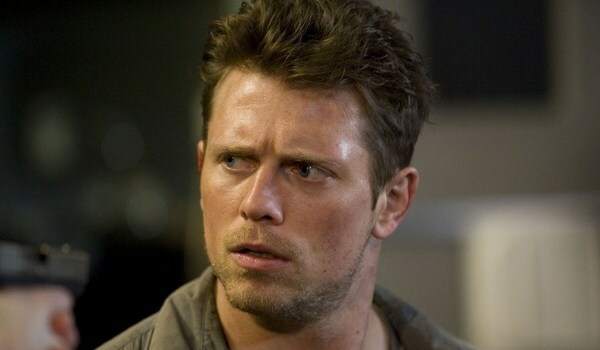 Besides, who needs another actor when a professional wrestler such as Mike Mizanin is an option? There’s no reason to be anything but excited about his upcoming appearance on Supernatural. While the exact date of his episode has not yet been released, Supernatural returns from its winter hiatus on January 20 at 9 p.m. ET. Check out our list of midseason premiere dates for a look at when all of your other favorite shows will be returning in 2016.